In October, a groundbreaking advertisement for Secret appears on my Facebook Timeline. It perfectly captures the anxiety a transgender in the US faces when having to navigate public toilets. I love it, but it saddens me that the anxieties that the transgender community face in Pakistan are entirely different. Here the anxiety for a transgender is when you have 8 bullets in your body and yet the hospital administration cannot figure out which hospital ward to place you in – the men’s ward or the women’s ward. Even in death, the people smirk at you. But then again, here is also the place where a transgender rises and contests the election against a maulvi from a banned Islamic organization. Still, here is also the place where before 2012, there were no identity cards issued to the trans community. And yet, there is a transgender in Lahore who has taken her case to the High Court so she can get a reassignment surgery that the doctors in Pakistan have refused her. For every low here, there is also a high. And today, a makeup artist, a stylist, a photographer and an activist created a high for Pakistan like no other. 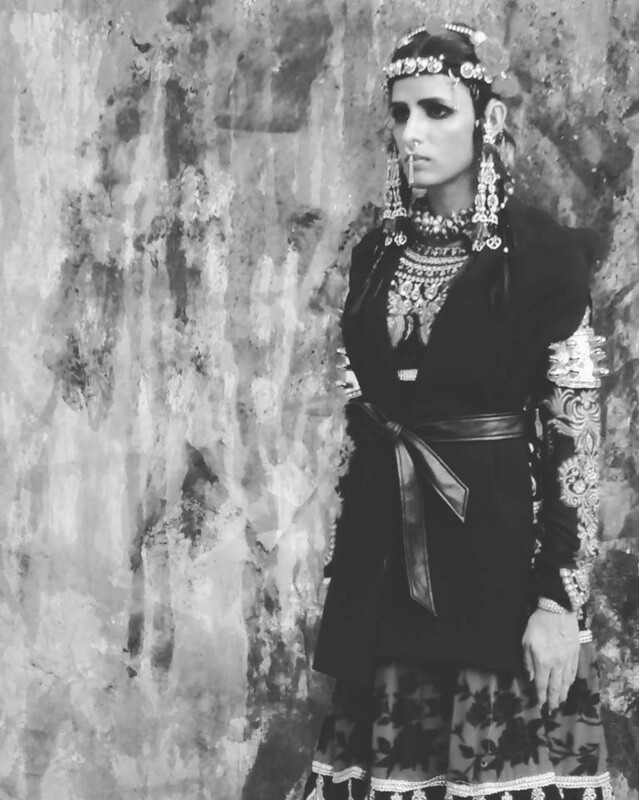 We shot the first fashion campaign in Pakistan featuring transgender activist Kami Sid. It was stylist Waqar J Khan's idea to showcase how incredibly beautiful the transgender community is. So he got in touch with photographer Haseeb Siddiqui who immediately volunteered his skills for this shoot. When it came to makeup and hair, Waqar knew he could rely on Depilex as they have already done some incredible work with acid victims of Pakistan with their foundation Smile Again. He immediately got the support of Nighat Misbah from Depilex who wanted to be involved in every step of the project. Last but not the least, we needed no one else but Kami as the model! Kami has been the most vocal transgender activist in Pakistan who has represented the community locally and internationally at workshops and speaker sessions. She has also appeared in a BBC documentary “How Gay is Pakistan?” along with her partner Sid. Kami’s not one to shy away from a pose or a strut, so we knew we wouldn’t have to convince her much! Now any one can put on designer clothes and look good! But stylist Waqar had a different plan for this particular shoot. He wanted to use the accessories and clothing Kami already owns, and stylize them in a completely editorial way. Kami was kind enough to let him raid her closet and come up with three really unique looks. Regus co-working space, Dolmen Executive Tower, Clifton, Karachi, Pakistan.